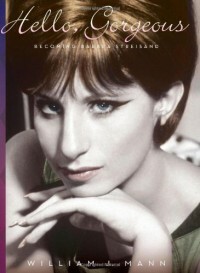 This book details the rise of Barbra Streisand beginning with her first performances as a club singer and ending with her great success in Funny Girl at the age of twenty two. An interesting portrait is drawn of a girl who is both shy and egocentric, of her early supporters and mentors and of her considerable talent as a singer and actress. I am giving this a three because I found it too long ( repeating the same facts in different contexts) and often slow reading. If you are a Streisand fan, you will like this book.